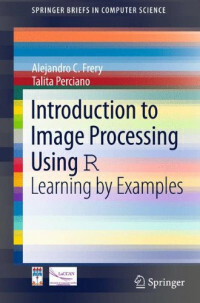 This book introduces the statistical software R to the image processing community in an intuitive and practical manner. R brings interesting statistical and graphical tools which are important and necessary for image processing techniques. Furthermore, it has been proved in the literature that R is among the most reliable, accurate and portable statistical software available. Both the theory and practice of R code concepts and techniques are presented and explained, and the reader is encouraged to try their own implementation to develop faster, optimized programs. Those who are new to the field of image processing and to R software will find this work a useful introduction. By reading the book alongside an active R session, the reader will experience an exciting journey of learning and programming.